Home“Fides et Ratio” – 20 years – Premonitory Encyclical. “Fides et Ratio” – 20 years – Premonitory Encyclical. 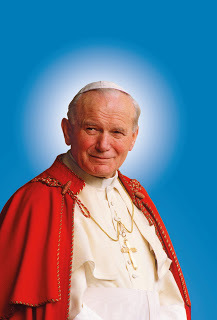 On September 14th, the Church celebrates the twentieth anniversary of the publication of the encyclical “Fides and Ratio” of Saint John Paul II. St. John Paul II invites all men, mainly women and men of thought, to the audacious and rigorous exercise of the constitutive reason of their being, beyond their differences; in order to reach the truth. He insists on the nobility and the decisive importance of what he indifferently calls “reason”, “philosophical reason”, “right reason”, or “philosophical-religious reason” common to all human beings. During the last twenty years, especially in medicine and biology, relativism has progressed inexorably. Relativism denies the possibility of proclaiming the first truth of an act, its objectivity, in the sense that it is accepted that there exists a reality having a meaning and a consistency independently of the knowing subject. Relativism leads, as far as knowledge is concerned, to skepticism; as regards morality, to “morality à la carte“; and with regard to religion, indifferentism. Facing this compulsive transgression in all areas, philosophy no longer claims a real discourse of truth. Emotivism has replaced rationality. As for science, she admits that her truth is approximate and progressive. Facing the relativistic derision that undresses the sacred, faith appears more and more as a space that can give rise to rationality. More than a dialogue – an articulation – between faith and reason, as St. John Paul II asked, it is imperative today, to re-invest the expanded space of rationality, because it is unfortunately in crisis. As J. Ratzinger-Benoit XVI has often stated, it is imperative today to bring out reason of the cage where rationalism has contained it, to expand the space of its exercise again. This is necessary so that the sciences, concretely biology and medicine, not only continue to know what they realize, but come to understand the deep and ultimate meaning of what they do and thus have the normative (ethical, moral) criteria that would allow to regulate their actions (telling them what they can or can not do).